Come down to our used car showroom in Fife today, and test drive one of the many fantastic used Renault cars we have to offer. At Simpson Motors, we have the most competitively priced cars in the area, with finance deals to match. If you?re looking for a used car with space for all of the family, then a Renault Grand Scenic is for you. 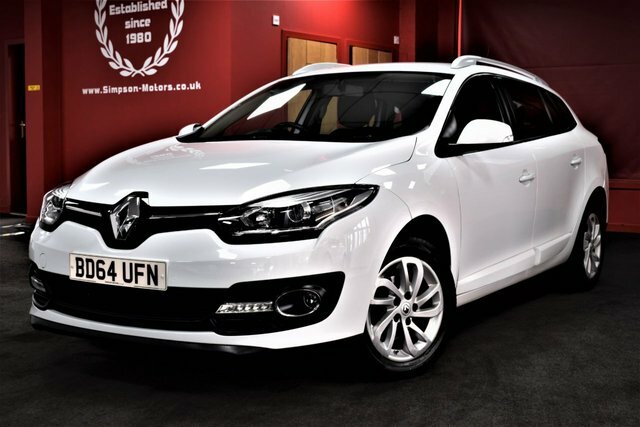 Or maybe a Renault Megane with its dynamic design is more your style. Whichever used Renault car is for you, our expert team will be on hand to answer any questions you may have, and our in-depth pre-forecourt inspection means you?ll hit the road with a motor in top condition. Get in touch today to arrange a test drive, visit our showroom jam packed full of used cars in Fife, or view our stock online today.